The beautiful, lowly cabbage. It’s a close relative to several other leafy green veggies such as cauliflower and broccoli, and it has a lengthy history as both a vital food as well as medicine. The Ancient Greeks would often prescribe cabbage juice to treat mushroom poisoning or constipation. The Ancient Egyptians ate cabbage before meals to keep themselves from becoming overly intoxicated when drinking wine. Even the British brought cabbages to those in the trenches of World War 1, to use the leaves as bandages and heal treat trench foot. 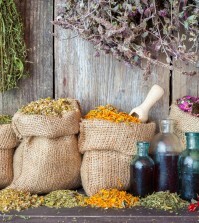 The humble cabbage has been used throughout history as a medicine due to its very dense concentration of nutrients. Cabbage has almost the same nutritional profile as broccoli, and is proven to treat many of the same health conditions its darker green cousin does. Sautéing cabbage is a great way to help it retain the most nutrients, however steaming and boiling is also acceptable. Eating them raw, such as in salads or on sandwiches, is perhaps the best way. However, it’s important to note that, regardless of how you choose to eat them, cabbages must be organic in nature. Cabbage heads are not protected by any sort of shell or skin, so they get completely exposed to herbicides, fungicides, and pesticides. Also, cabbages are famous for being susceptible to mineral deficiencies that come from poor soil. Organic farms have a tendency to have the healthiest soil, which will make for the most nutritious, not to mention, tasty cabbages. Cabbage is a very powerful veggie; so much so that ancient healers claimed it must have contained moon power because it grew in the moonlight. Modern science knows that its power comes from its high vitamin C and sulfur content. But no matter how you look at it, cabbage is a true super food that’s worth adding to your weekly diet. Take a look at the 10 health benefits of cabbage. All cabbages, including white cabbage, the one most commonly eaten in the USA, contain high levels of polyphenols and glucosinolates, which have disease fighting compounds. Cabbage is an important aspect to overall health as they are good sources of antioxidant and anti-inflammatory compounds which are related to the prevention of chronic diseases that are caused by oxidative stress, such as artery disease and cancer; this according to a study published in the Asian Pacific Journal of Cancer Prevention in 2013. Although all cabbages were tested and found to be good sources of antioxidants, the red cabbage contained the most. Chinese, green, and Savoy cabbages had the most anti-inflammatory properties (read about other antioxidant rich foods). It’s a good idea, then, to vary the types of cabbage in our diet in order to maximize all the health benefits. Cabbage is perhaps the perfect food when it comes to those who are looking to drop pounds. It’s extremely low in calories and carb’s, has no fat, and is low on the glycemic index. Cabbage is also very high in fiber, so you will feel fuller, longer. Cabbage great tastes and can be incorporated into almost any dish such as stews, soups, sandwiches, salads, and a multitude of cooked dishes. Find out 10 rules of losing weight. Although all vegetables are good for the skin but cabbage is perhaps the best. Cabbage can help dry up acne and oily skin. Cabbage is high in sulfur and internally, sulfur is vital for the production of keratin, a protein that is necessary to have that beautiful hair, skin, and nails. 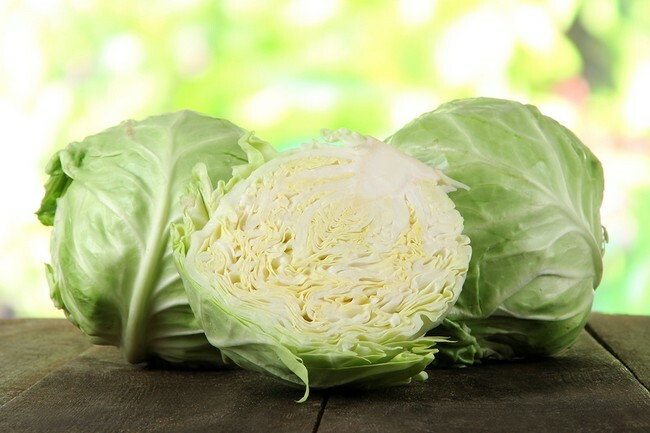 The high sulfur level and vitamin C in cabbage helps remove toxins such as free radicals and uric acid, which are the main causes behind gout, rheumatism, skin disease, and arthritis. Cabbages stimulate enzyme activity that actually inhibits the growth of cancerous tumors. One study showed that women had a significant reduction in breast cancer when cruciferous veggies such as broccoli and cabbage were included in their diets. This is probably due to the known anti-cancer compounds sulforaphane, lupeol, and sinigrin.